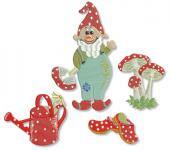 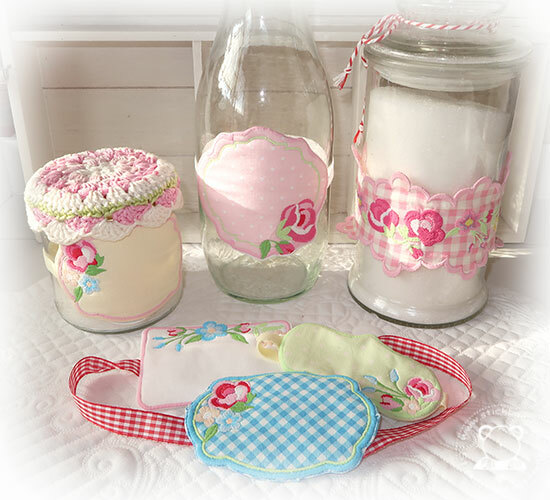 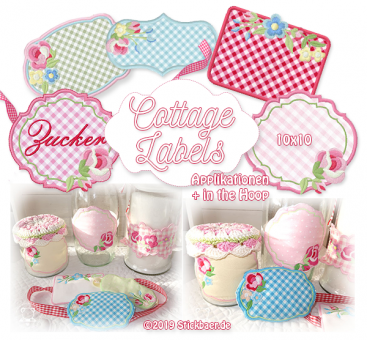 With this collection you can embroider 4 applique in vintage look and 4 romantic ITH labels. 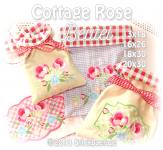 Decide if you want to attach a loop, a ribbon or nothing during the embroidery or to insert a rubber band: this will give you a bag tag, suitcase tag, label for a sugar box, or even a door plate. 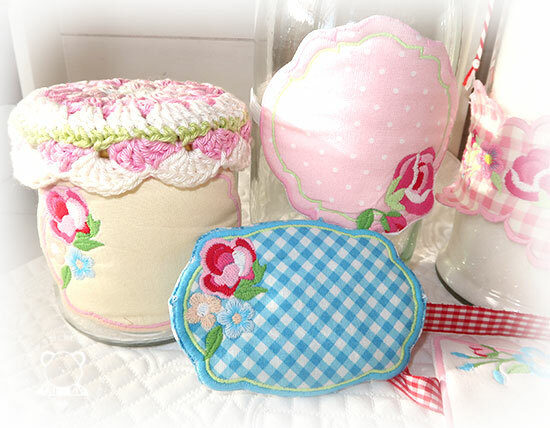 Our detailled embroidery instruction will guide you. 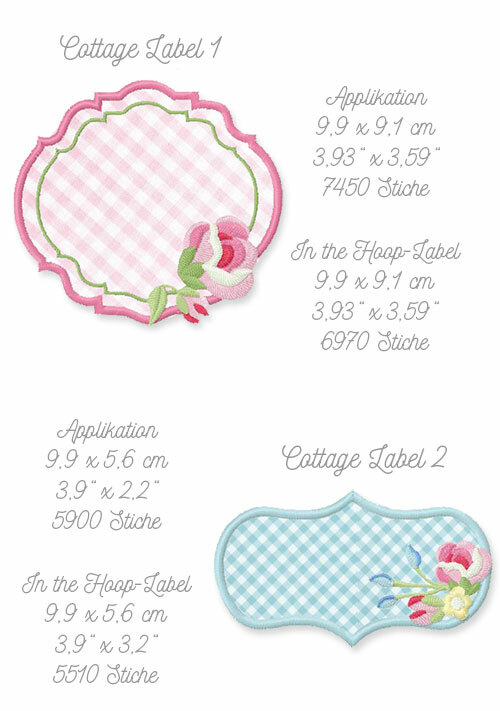 You need a hoop of 10x10cm and you get 8 embroidery files. How they will look when finished, what the real size is and a lot of samples for the Cottage Labels by our testers can be found here. 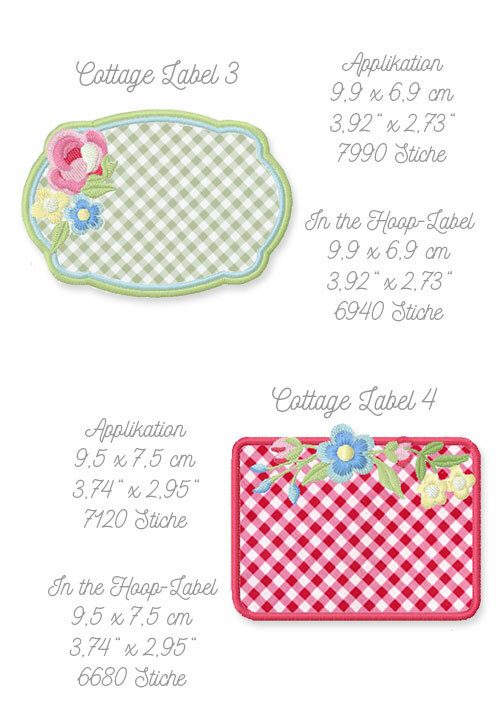 Dishcloths ITH 5x7" + 6x10"
Onion Bag 6x10" + 7x12" + 8x12"